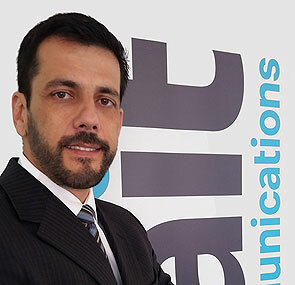 Global critical communications company, Tait Communications, has appointed Luiz Daniel Salomon as General Manager to lead Tait Brazil, its new Latin America hub in São Paulo. Mr. Salomon is tasked with strengthening Tait's presence and growth prospects in Latin America following the company's acquisition of long-time partner SGM Telecomunicações in September 2014. "We are already seeing the strategic advantage of a having a local presence in Brazil and we are pleased that Daniel has come on board to lead the team as we explore opportunities available across Latin America," said Victor Agnellini, Tait Americas President. "We expect to grow revenue opportunities in Latin America for both our platforms and products and our services and solutions offerings. Daniel's background in sales and engineering, combined with his knowledge and experience in this region, will be invaluable to the company as we look to build on the outstanding market development work the team in Latin America has already achieved." Tait has worked in partnership with SGM Telecomunicações for over 20 years and together have won numerous analogue and digital communications contracts across Brazil's 27 states and throughout Latin America, including São Paulo Military and Civil Police, Minas Gerais Military Police (PMMG), Polícia Militar do Paraná (Military Police of the State of Paraná), Companhia Paranaense de Energia (COPEL) and Petrobras.